Limoneira is one of the largest producers of citrus in North America and it is headquartered in charming Santa Paula. Limoneira lemons, other citrus and avocados appear in so much of what we eat, drink and use in our daily lives. I knew little about this publicly-traded company that has over 3500 acres of agricultural lands under cultivation until they sponsored a Lemon-based Mixology contest, or a “Lemon Mix-off” at the Sofitel in November to kick off an international series of mixology contests in New York, Chicago, Hong Kong and other venues. Some of the best mixologists in LA came together to compete in a lemon-based cocktail mash-up that judged their creations on creativity, texture and downright use of lemon flavor. 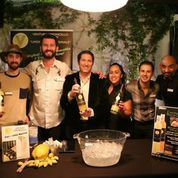 Also at the event were local spirits producers that are customers of Limoneira and use their lemons in their own expressions of flavor. Ventura Limoncello and Greenbar Craft Distillery’s organic spirits are stand-outs among local producers. Diabolo French Soda and Four Brix Winery rounded out the Ventura County purveyors at this inaugural LA bash. 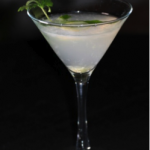 Patrick Reynolds, bartender at Wildcat Lounge and the “Farm to Bar” columnist at the Santa Barbara Independent, created the “ManawaTrois” a spicy, complex and refreshing concoction that triumphed over creations from other top LA bartenders. 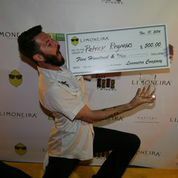 Reynolds will now compete internationally against victors from Limoneira cocktail contests around the world. His ManawaTrois recipe is below. The Limoneira Company also makes a full line of body, face and lip products, all with healthy lemon as their main ingredient. Funny how this 120 year old Santa Paula company has reach far beyond Ventura County and is integral in so much of what we drink, eat and slather on! www.limoneira.com. Translated, Manāwa means “lemon” in Thai. In this Thai-inspired cocktail, lemons are used three ways. The balanced flavors remind the palate of Thai food: spicy, aromatic and exotic. Chop and combine ingredients. Cover and refrigerate for 24 hours, then strain. Shake ingredients together and strain. 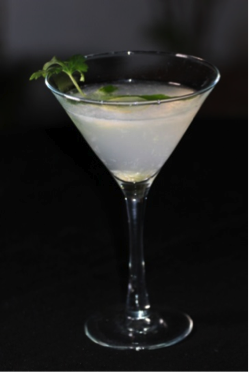 Garnish with cilantro and fresh lemon verbena. Cheers!